Located in the village of South Ferriby, close to the Humber Bridge, Thorndale enjoys wonderful views across the estuary. 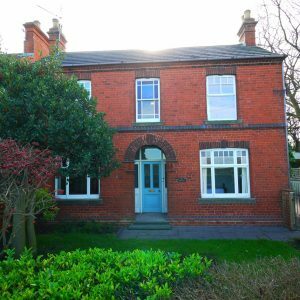 This detached house is Edwardian and is furnished to a high standard with Arts & Crafts furniture. It offers self-catering accommodation for up to six people in four bedrooms (three good size doubles and one small twin) together with three bath/shower rooms. One of the double bedrooms is on the ground floor. Thorndale is ideal for birdwatchers, wedding parties, walkers on the Viking Way and anyone wishing to spend some time in the area. Minimum let 3 nights. Well behaved dogs are welcome, but the property is not suitable for children under 7.